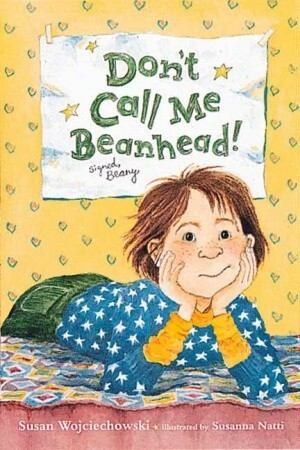 Title : Don't Call Me Beanhead! These are great books for a sensitive child. This was a great little book. I love how each chapter is a different story. This book was cuter than the Ramona Quimby book. Nothing like the Junie B. Jones books. But hey, those are gunna be hard to beat. I liked the book. I liked the tooth chapter the best. Susan Wojciechowski - Susan Wojciechowski was a children's librarian for many years. "Every December," she says, "I read the same two or three classic Christmas stories aloud to the children. I tried to find another one I wanted to read and couldn't. So I wrote THE CHRISTMAS MIRACLE OF JONATHAN TOOMEY. I've never written anything that way before. It just came through me in a flood of inspiration and was finished in less than an hour." THE CHRISTMAS MIRACLE OF JONATHAN TOOMEY proved an enormous success, selling out its first printing long before Christmas Day. In addition, it won numerous honors, including the Christopher Award for "affirming the highest values of the human spirit" and Britain's prestigious Kate Greenaway Medal, and was a finalist for a National Book Award. Following the success of THE CHRISTMAS MIRACLE OF JONATHAN TOOMEY, Susan Wojciechowski wrote the acclaimed middle-grade novel BEANY (NOT BEANHEAD)! This time, inspiration came when she was in bed with a cold. "Beany just stayed there, and by the time I was well, the stories were written," she says. Beany has since had more adventures in BEANY AND THE MAGIC CRYSTAL and BEANY AND THE DREADED WEDDING, both of which were honored with a Parents' Choice Gold Award, and more recently, BEANY GOES TO CAMP and BEANY AND THE MEANY. Along with the time she spends writing, Susan Wojciechowski makes many visits to schools, where she shows slides and talks about her books and her own life. Among the information she shares with children is the fact that, like many of them, she had no interest in writing when she was growing up. "In regard to writing for children, I like to create realistic kid role models," she says, "like Beany, who is not perfect, but tries hard." A native of Rochester, New York, Susan Wojciechowski now lives in Pennsylvania with her husband.